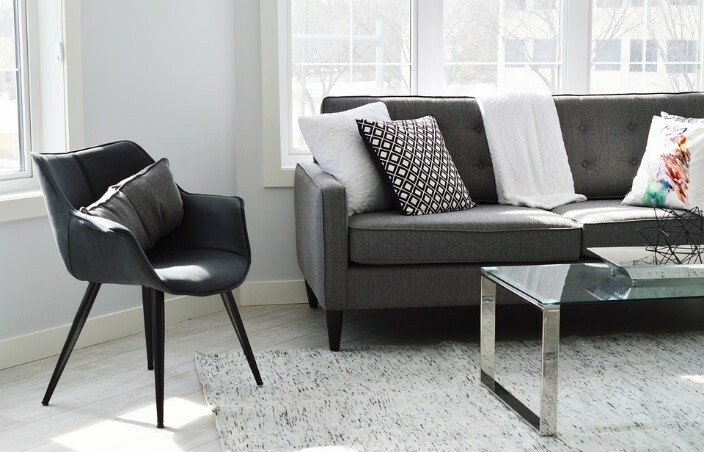 Before you can choose a specific interior style for your home, you need to examine the basic elements that comprise the space such as the walls and the floors. The materials you use for these areas will determine the choice of décor which will finish the look of the room. Decorators and architects study the importance of matching colours with specific design styles, and when it comes to flooring, the colour spectrum is so varied that simplifying your choices is not always easy. Here are four tips for choosing the right floor colour for your home. Consider the size of the room. Floor colour will always have an impact on the feel of the space. For large and wide rooms, you can use a darker shade to make it cosier. Lighter colours, on the other hand, work best in opening up small spaces. Consider the effect of the colour you choose. Different colours lend a unique impact to the overall look and feel of a room. Light shades not only open up a small area but also make it cleaner and brighter. Earth tones like browns and beige create a rustic and classic feel. Consider the availability of natural light. When choosing the right floor colour, you need to factor in the effect of natural light entering the room at different times of the day. Compare how a particular floor colour looks under natural light during the day and at night time. Natural sunlight always gives a distinct impression at varying intensities, so it is vital to keep this in mind when choosing the right floor colour. Consider the big picture. When selecting a floor colour, you need to base it on the style and feel you wish to create. For example, if you have pieces of furniture or accessories you want to highlight, choose neutral or lighter floor shades. You can always ask for swatches from the supplier so that you can have a clearer idea about how to match the right floor colour to the furnishings you already have or plan on buying. If you choose the right colour that matches your style and complements the space well, you are likely going to appreciate the interior better. Aside from the floor colour, it is also vital to focus on what type of material to choose. For optimum versatility and durability, laminate flooring is fast becoming the flooring of choice for many homeowners. Laminate is synthetically engineered to enhance its strength and resistance. Laminate is not only economical, but it is also a stylish choice because laminate planks manufactured today feature improved characteristics and appearance. Depending on the manufacturer, you can purchase laminate floors with added features like stain-resistance, moisture resistance, scratch resistance, and a static-free layer. In the past, laminate floors tended to look too synthetic and lacked an authentic appeal. With modern manufacturing techniques used today, laminate flooring rendered with different textures almost looks and feels like the real thing. Aside from mimicking the appearance of natural wood, laminate floors also come in styles that look like stone and ceramic. Aside from durability and relatively inexpensive cost of installation, laminate floors are also easy to maintain and install. It is a perfect choice for high-traffic areas in your home, especially if you have pets and young children. Laminate flooring is a DIY-friendly option and equally easy to remove if you plan on renovating down the line. Furthermore, laminate flooring comes in a wide variety of colours such as grey which is a favourite among designers looking to create a contemporary and peaceful interior. Why is grey becoming a popular colour choice for laminate flooring? The recent trend in modern minimalist designs has paved the way for the popularity of grey as an interior design colour. It is common nowadays for designers to recommend grey for painting walls, and even for floors. There are many reasons to love grey. First of all, it is a neutral and cool colour that looks bright and modern. But unlike other light hues such as beige and white, grey has a unique coolness that can either create a rustic appearance or modern appeal. Grey is not only trendy, but it is also universally pleasing to the eyes and helps open up a small space and give it a wider appearance. Laminate flooring in grey is fast becoming a top trend in homes today. Grey is a versatile colour that works with both large and small spaces. It is also easy to design around grey as the base colour for floors and walls because it complements most tones depending on the natural undertone of the shade you choose. Most importantly, grey suits residential homes, offices, and commercial establishments as an excellent flooring colour. Green-grey. Grey laminate flooring with green undertones is the easiest to work with because it naturally complements wood and earth tones. It is also the most neutral of all grey hues. Blue-grey. Grey laminate floors with blue undertones have a coolness and modern appeal to them. This is the most popular choice for people who are looking for a contemporary style. Although grey with blue undertones is also easy to work with, you need to complement it with warmer colours so that the room does not end up looking too cold. Purple-grey. Purple undertones in grey laminate flooring are a unique option but are also harder to work with when it comes to design. If you want grey laminate with purple undertones, you need to avoid furniture and accessories with orange or red tones which will clash with purple. Aside from undertones, grey laminate flooring is also classified as either warm or cool. Cool grey flooring works well in rooms that get the right amount of direct sunlight. Lighter hues which look more neutral are the safer choice when selecting from a range of cool greys. On the other hand, warm shades of grey look cosier and more inviting. These are greys with touches of brown and are also excellent if you want the room to appear warmer and more comfortable. If you chose grey laminate flooring with red undertones, pink and cream would help soften the harshness of red. Blue-grey laminate floors look cool and industrial. To make them look warmer, select furnishings with gold or brown. If you want to create a modern industrial feel, silver and other metallic accents work well with light grey laminate floors. Other neutral and warm colours like beige and cream also complement light grey quite well. If your choice is brown-grey, you can contrast it with neutrals or black for a sophisticated appeal. For bedroom décor, you can create a romantic feel using pink and purple décor. If you want the space to look cheerful and bright, use yellow accents. Blue is always an elegant choice if you’re going to keep the area stylish. Pillows, curtains, and throws in various shades of blue will create this look. If you want to be more adventurous and want to make a statement, red is always bound to make an impact. Decorate with a single red chair, or paint one portion of the wall in a bright shade of red. For a more relaxing and rustic atmosphere, stick with earth tones like green. Add potted plants and wooden accents that will work well with grey floors. Styling grey floors is easy if you stick to the basics of design. Nevertheless, there is no hard and fast rule for creating a space that you will love to live in. You can always experiment and trust your personal taste when selecting the right furniture and accessories to go with grey laminate flooring.